Watch an interview with accomplished author Barry Silverstein where he shares his motivations for writing the book, the risks with commercial products, and free tips and tricks you can use immediately . 1:00 – 1:55 What does “naturally” mean? 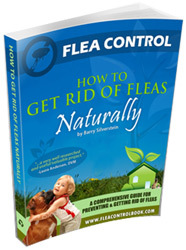 1:55 – 2:35 Why use a natural flea control approach?